Newsletter marketing is one of the most effective ways for businesses to maintain an on-going relationship with an audience. 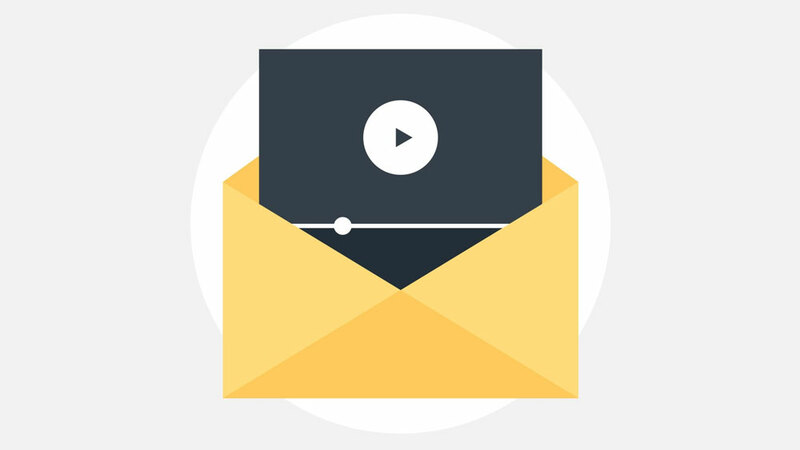 Including video in your email blasts has several benefits, including its ability to increase click-through rates when a large video thumbnail is used, as well as email open rates simply when the word ‘video’ is used in the subject line. So how exactly do you include a video in an email newsletter? There are a few things you’ll need to consider. The primary challenge is that a video can’t be embedded or attached directly to an email since video files are typically much too large (HTML5 does allow for videos to be embedded directly in emails but the results are far from consistent). You should instead link to a video which is then embedded on a landing page on your website. This will also provide a way to track clicks and conversions. This is likely the one time that it makes sense to have your video automatically play since by clicking the thumbnail, your readers have effectively already ‘hit play’, so it wouldn’t make sense for them to do this again. 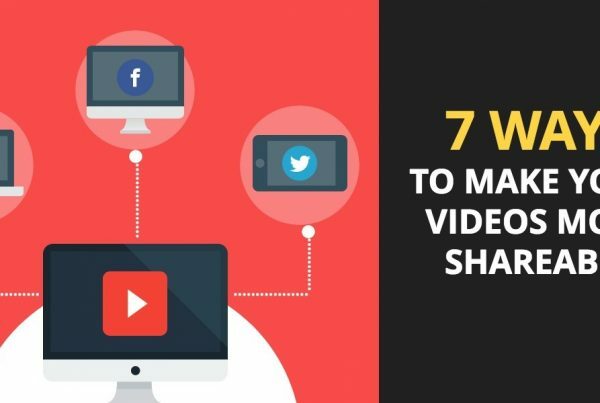 You’ll still want to include a video thumbnail in order to create the illusion of the video having been embedded directly in the email, giving extra incentive for people to click on it. A nice trick is to use a screen capture of the video right within its player and including the big play button. You would then add a hyperlink to the image the same way as you would with any other image in an email. This assumes that your newsletter is being sent as an HTML email, as images cannot be embedded directly in a plain text email. Be sure to include appropriate text (eg. “Watch video on YouTube”) for the ‘Alt’ and ‘Title’ tags in the image, in case the viewer has images disabled in their email software, as this text will appear in its place instead of simply an empty box. It might be a good idea to also include a regular text-based hyperlink to the video underneath the image, just in case. A nice variation on the ‘Click to View’ image is using an animated GIF instead of a regular JPG image. GIF images allow you to include multiple frames of the video as an animation, simulating the effect of a video. Note that this is not meant to act as an alternative to the video itself as there is no support for sound content and you typically can’t achieve a frame rate of much higher than 10 frames per second (as opposed to 24-30 per second for regular video). GIF images also ‘play’ automatically upon loading and cannot be controlled. They also don’t function on many mobile email clients due to the increased CPU load required and typically result in much larger file-sizes than JPG images. Many newsletter platforms provide the ability to A/B split test different headlines and email content, allowing you to measure any increase in both click-through and open rates. 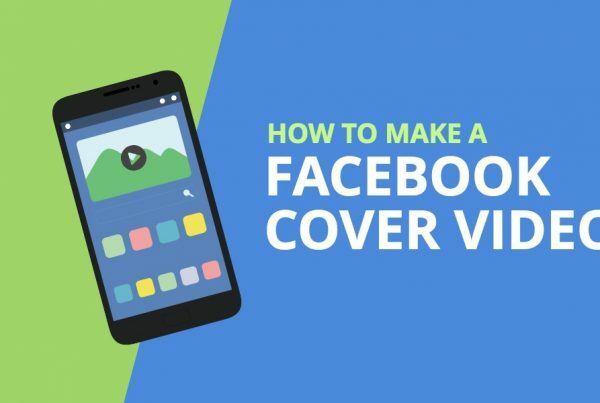 This is a great way to optimize your headlines, thumbnails, and video placements to maximize results. Download your copy of our free ebook, Guide to Getting Started with Video Hosting & Optimization, to learn more about distributing your video and optimizing it for results.